Yurt Alert: First In Yurts! The Hill has an exciting new look this year! We have replaced the tents with brand new, state of the art yurts. What is a yurt, you may be asking? A yurt is a portable, felt-covered, wood lattice-framed dwelling structure traditionally used by Turkic and Mongolian nomads in the steppes of Central Asia. A yurt is more home-like than a tent in shape and build, with thicker walls. Our yurts sleep 12-16 chanichim in a water-proof, weather-tight, insulated and poly-canvas covered structure. Each yurt has a domed sunroof that opens and five windows for cross-ventilation and a central drain for easy cleaning. The 2011 Machal chanichim are the first campers to be using the yurts, and they are loving every minute spent in their new homes away from home. Be sure to check out the pictures of our latest additions to Machaneh! Our Yurts are featured in today’s Moshava Minute. Machaneh is off to a great start! In addition to the already awesome programming at Machaneh three huge inflatables honored us with their presence at Machaneh. The weather today at Machaneh was amazing and the chanichim took full advantage of it. The chanichim went swimming, went on the blob in the lake, and also played sports with their kevuzot. The first league games were played today and they were quite intense. Everyone in Machaneh is very excited for the first Shabbat, and everyone is counting down the minutes until it starts. Camp Moshava is off to a great start, and the campers are settling in and enjoying the sports, swimming, shiurim, and of course all of the special programming that Moshava offers. Visitors’ Day is fast approaching and we are excited to welcome you to camp. Please take this opportunity to see your camper and the environment where he or she is having such a terrific summer! We want you to meet our stellar staff of madrichim and tzevet, ask questions, and get to know us. Visitors’ Day will take place Sunday, July 10, between the hours of 12 noon – 5:30 p.m. Chicago time.  We invite you to come and experience Camp Moshava, and we look forward to seeing you! The Perlstein Resort & Conference Center is having their visitors’ weekend/Shabbaton in the Wisconsin Dells which is one hour from Moshava. While this is not a camp sponsored weekend, it is a nice way to spend Shabbat closer to camp. Please see the information below and contact them directly for further assistance. Hi, my name is Avi Varnai and I’m the Rosh Mosh this month. You may recognize my name from being on tzevet previous summers and from last nights Moshava Minute. This months noseh (theme) is Giborei Ha’am, in which the chanichim will be learning all about different heroes who have played an integral role in Jewish history. Each day the chanichim will learn about a different hero and have peulot relating to that hero’s life. For example, for Noach, the chanichim will be building an ark, for Sara they will be baking challah and much more (you didn’t think I was going to give away ALL of the surprises, did you?) Its going to be a great month filled with new peulot, trips, and amazing tzevet! Can’t Wait!! All the buses arrived safely in Machaneh this afternoon, filled with excited chanichim (campers). Bus chaperones provided first hand testimony that chanichim let out cheers and loud shrieks of joy as the buses pulled in to camp as the chanichim got their first view of the camp’s landscape. The chanichim were equally excited as they learned their kvutzot (bunk) assignments and were welcomed with warm smiles by their madrichim (counselors). From the bus drop-off, chanichim watched a video introducing the Noseh (theme) of the month: Giborei Ha’am (Heroes of the Nation). All the kvutzot were assigned either a biblical or modern day hero, and each hero will have a special day at some point throughout the month. The chanichim then headed over to their tzrfim (cabins) to unpack and settle in for the month of fun that lies ahead starting with tonight’s night tochnit. Stay tuned for more details on all our special programs that relate to this month’s theme. After many months of preparation we are so excited to finally be able to implement all of the special programs that have been planned. To view the bunk list for Moshevet Giborei Ha’Am click on “Parent Login” on the menu bar. Once you are logged into our CampInTouch Portal click on “News”. Make sure to check our CampInTouch section later tonight for all of the pictures from today’s opening tochnit. The bus from Milwaukee Airport has arrived safely! The coach bus that came from the Milwaukee Airport filled with chanichim from Los Angeles and San Francisco has arrived safely at Machaneh. We will keep you posted with the update from Chicago! More pictures will be available with all of the other picutures shortly. Luggage drop off for 1st month campers is tomorrow morning, Sunday June 19th, from 8am – 11:30am. Drop off is at the parking lot of Skokie Valley Synagogue, 8825 East Prairie in Skokie. The truck will depart promptly at 11:30am. PLEASE GET YOUR LUGGAGE THERE ON TIME!! Please make sure you have the appropriate luggage tags on your child’s luggage. If for some reason you did not receive your luggage tags there will be extra tags at luggage drop off. 1st month campers depart on Tuesday morning, June 21st, at 11am promptly. Please have your campers at Skokie Valley Synagogue’s Parking lot by 10:30am. The buses will leave at 11:00am sharp. Camp Moshava is proud to announce our new assistant summer director Shira Kroll. She will be spending the months of June, July and August working closely with our director Josh Zwelling, along with all their staff. Shira first came to camp in 1993 as a chanicha and has not missed a summer since. She has worked in many different leadership roles in camp including; Rosh Sport, Rosh Plugah, and Rosh M.I.T. Over the past few summers, Shira has worked closely with her husband, Rabbi Danny Kroll, to lead the Machal program. When she is not at camp, she works at the Associated Talmud Torah in Chicago as a Government Program liaison, working to secure government funds for Chicago area day schools. This summer, she will be joined with her two daughters Rayli (age 3) and Talia (18 months), and husband, Rabbi Kroll (Rosh Machal). Shira cannot wait for the fun that awaits her in her new role during her 19th summer at Machaneh (camp). Read about the rest of our upper staff here.